Donald Trump and Steven Carl (a caterer) are proposing a restaurant/banquet hall to develop at Jones Beach. Diane Yatauro, Nassau County’s presiding officer backs Trump in this fiasco, so that’s another strong point for Trump and Co.
Newsday quotes Trump: "As a New Yorker with an eye on historical significance, I am pleased to be a part of the history of Jones Beach." It’s not that I’m against Trump or against building a nice banquet hall on Jones Beach, it’s this particular model which I find distasteful and gaudy. And the defense? 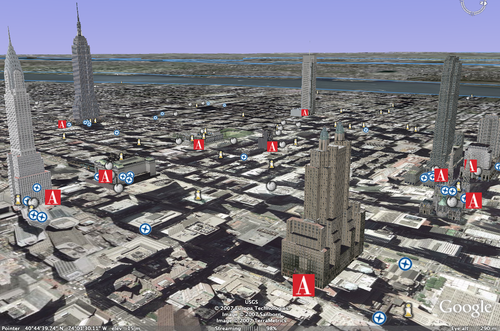 : "This is solely, 100-percent, down to the square foot, what was approved earlier this year in the blueprints -- they just haven't seen the 3-D visualization of it," insisted Michael Russo, who has managed the project for the architectural firm of Hawkins Webb Jaeger. Maybe I’m just jealous of rich people. That’s come up before, hasn’t it? 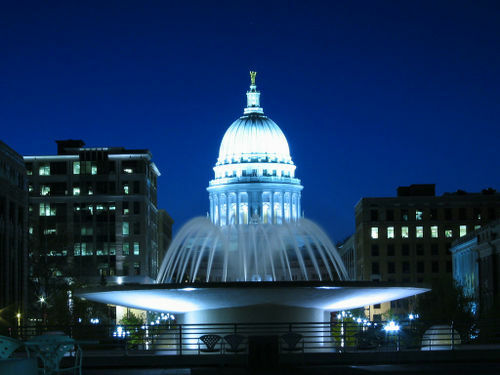 A great night shot of the Wisconsin State Capitol building in Madison. 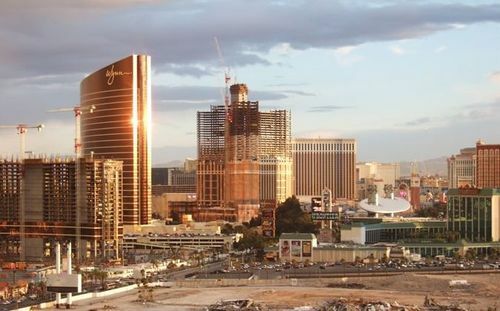 Sunset near the construction of new hotels (The Palazzo, Wynn Encore and Echelon Place) cropping up around the Wynn in Las Vegas. 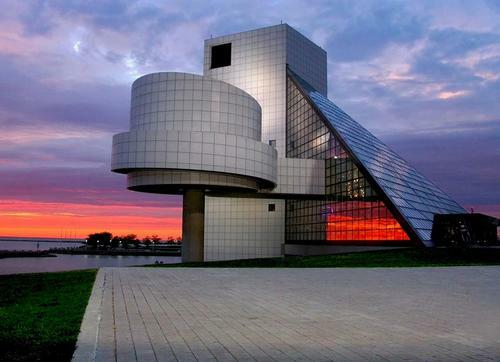 Sunset at the Rock and Roll Hall of Fame in Cleveland, Ohio. 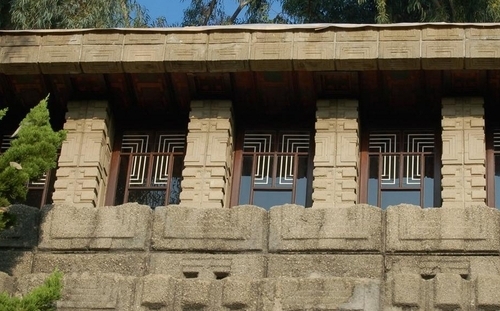 If you're going to be in southern California in the near future and you want to see Frank Lloyd Wright's contributions, you might want to check out this beautiful website first. There are stunning photos of five different projects that FLW worked on around Hollywood, they include the Hollyhock House, the Ennis House, the Storer House, the Freeman House and La Miniatura. For us, the Storer House steals the show but unfortunately the site doesn't show the interiors of any of the houses. 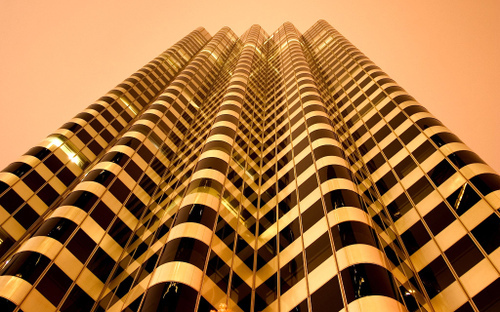 444 Market St., San Francisco. The rolled-back Market Street facade and finely scaled flush aluminum skin make this one of the more ingratiating of this generation of towers. It is connected by a hyphen to the 1908 Postal Telegraph Building by Lewis Hobart at 22 Battery Street. (Woodbridge and Woodbridge 1992: 33). Well, maybe you can't cross over all of the Grand Canyon but starting in March you'll be able to at least lean over the great abyss. 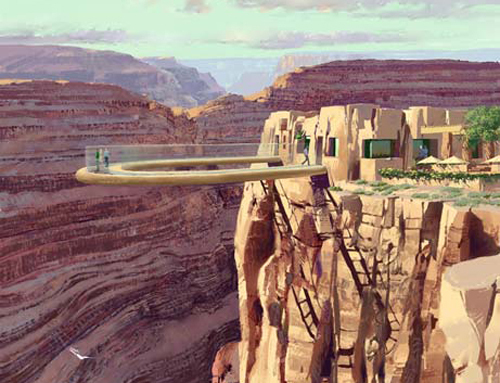 The new walkway, dubbed Skywalk, will stick out about 70 feet from the rim of the canyon allowing visitors to peer down 4,000 feet to the floor of the chasm. A mere four inches of glass will keep them from plummeting to their death. The hope is that the new Skywalk will increase visitation to this remote Western side of the park where a mere 125,000 visitors came last year (compared to roughly four million in other parts of the park). We've been hearing about this thing for ages, hopefully it's finally close to fruition. Many a city wouldn't be the same with out its subway. We're still tooling around Boston, now that we've got our Coastal Massachusetts and Rhode Island guide online, and came across this beautiful page full of wonderful pictures of subway stations from around the world. Some of these stations house aquariums, museums, ancient chapels, and lots and lots of tiles - but we think Dostoevsky's motherland makes subway stations like no others. 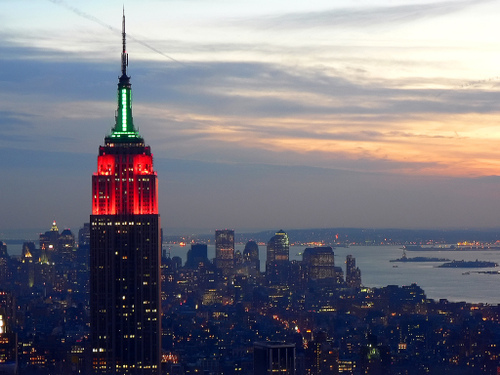 Take a gander at these impressive stations - New York, DC, and LA also made the cut. 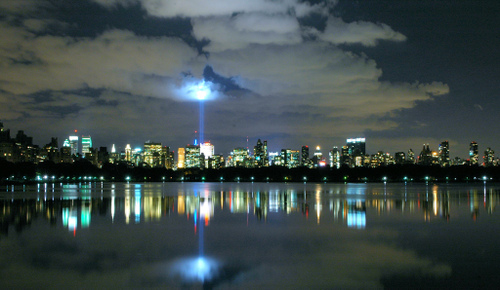 Tags: boston, los angeles, new york, subways, travel, washington d.c.